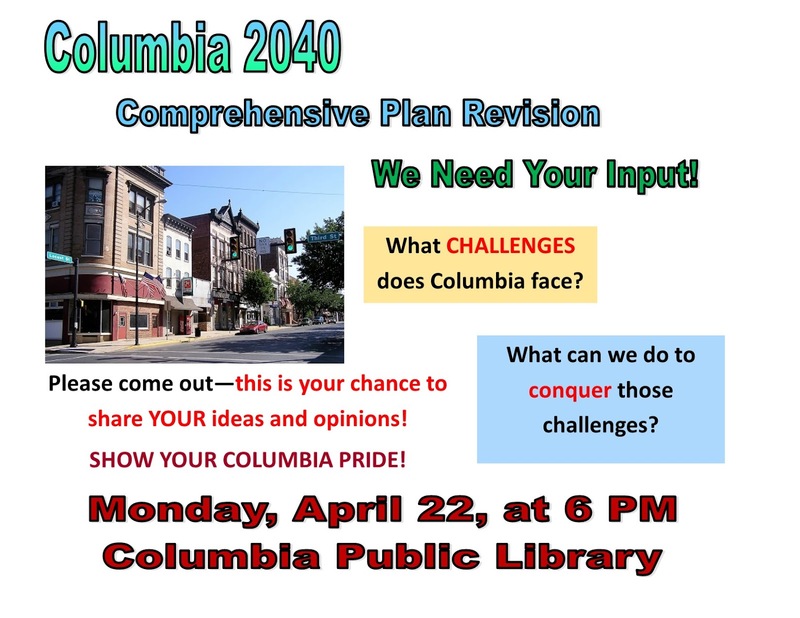 COLUMBIA SPY: Columbia 2040 Meeting at the Library - Monday, April 22 at 6 p.m.
Columbia 2040 Meeting at the Library - Monday, April 22 at 6 p.m.
Is there going to be a Columbia by then? some of us won't be here in 2040 isn't that planning a little too far? Trying to get something done before new councilors get in huh?